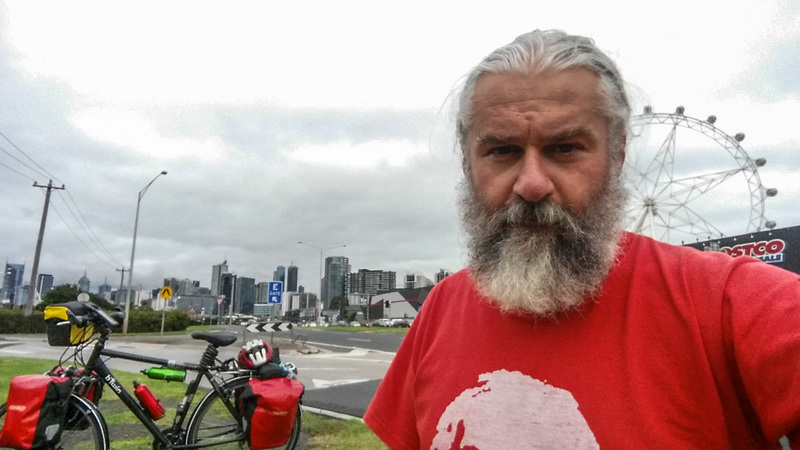 It is over, the great New Zealand bike ride has come to an end and I have now left its shores for the next stage of the down under 2015 tour. Did not go too bed too late last night and did most of the hugging and kissing then as Arantxa and the girls would have been still sleeping at pick up time. Adam was up and helped me carry the stuff to the shuttle. Adam and Arantxa were great hosts and they used all the trick in the book to make me feel at home, it was lovely to stay with them even though I realise that my presence had a rather destabilising effect on the girls. The mysteries of parenthood remain well hidden from me. After a rather smooth ride to the airport I had to negotiate check in which included both getting a visa for Australia (I did not know I needed one and it was $50 I’d rather have not spent. ), and pay for some excess weight. Imagine how much it would have been if I had not shipped those 7 Kg to Italy last month. The flight was smooth and I manage to watch not one but two movies with a fairly scientific theme. One about Alan Touring and the other about Stephen Hawking. The first one was rather good the second one less so, I wonder if my great admiration for Turing and my lukewarm feeling for Hawking might have tainted my judgement. I got to Melbourne at around 12:00, out of custom at 13:00 and the scary immigration police did not ask me to unpack the bicycle just taking my word to vouch that it was clean. By 13:20 I had cash and a SIM card and by 14:00 I had reassembled the bicycle ready to cycle the short distance to the CBD (Central Business District), which is how they call the city centre down here. The cycle was smooth and as you can see above unchallenging, mostly on a bike lane at the side of a stream . I got to the YHA just after three and booked in for three nights. Cycling in non cycling gear, but it’s only a short easy stint. I might go for a short walk tonight just to try and dial into the two hours of difference there are from New Zealand but the bulk of the exploration will take place over the week end. I had planned to stay until Monday Morning but looking at the weather forecast perhaps I might leave on Monday and give myself a spare day to use in case i get a rain enforced pause along the way. Ditto on the Turing/Hawkins movies.